We have established a small grant program for new Member organizations that are starting a Teen Science Café. We are able to provide up to $3000 in seed money to 6-8 new Member organizations in need of assistance in getting started this year. TSCN Small Grants Agreement and please contact us, with any questions. Science Café programs engage scientists and the public in conversation on interesting science topics in a highly social setting. The model was established in England, and its popularity led to rapid spread in various forms throughout the world. It has proven very effective in engaging people from all walks of life with science and scientists. This is what we are all about. Teens explore DNA and blood types at a Cafe. In 2007, Science Education Solutions, with a grant from the National Science Foundation, began an experiment to see if the model could be adapted to appeal to high school teenagers. The program, Café Scientifique New Mexico, has proven highly popular with teens in four towns of diverse character in northern New Mexico for the same reason as adult programs: the blend of engaging with scientists informally on interesting science topics and the high degree of social interaction. Café Scientifique New Mexico provides teens a new perspective on the nature of science and a picture of scientists as real people leading interesting lives. The program has proven to be a rich—and fun!—complement to the science they learn in the classroom. The teen Café Scientifique New Mexico model has been refined over its six years of operation. With a new NSF grant, the Teen Science Café Network was formed to allow other individuals and organizations to start up their own versions of the Teen Science Café model, adapted to their local institutions and demographics. 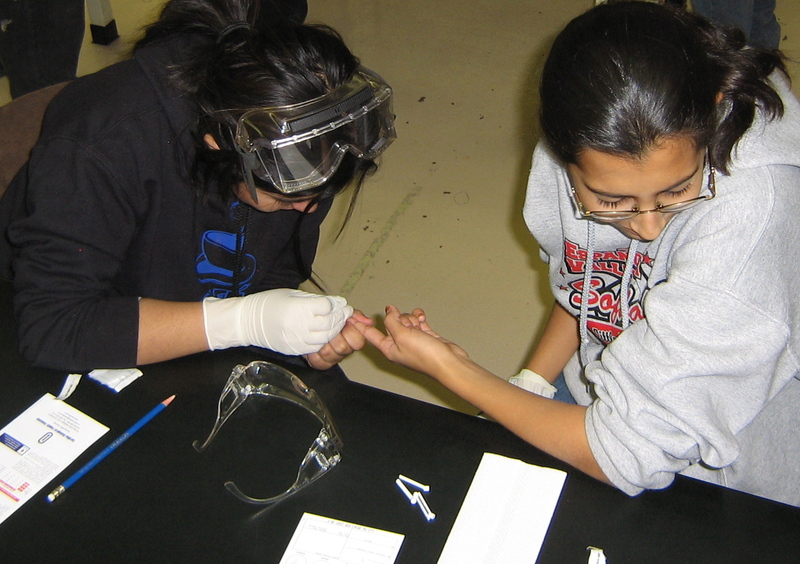 Five organizations around the United States formed the initial Network and began creating their own versions of the Teen Science Café model. We encourage any organization that wishes to form a Teen Science Café to request membership in the network; you will be warmly welcomed and strongly supported. We especially want to encourage teens that think they might like to form a Teen Science Cafe on their own initiative—whether within their community or virtually with other teens via the Internet using social media. We will give you all the help you need to get started and flourish. Interested? Contact Us! Our Guide to Starting a Teen Café can be found in the Resources section of this website, through our blog, and our regular teleconferences and webinars.